According to a report from KGTV 10 News, San Diego, California, the Department of Health and Human Services, through the Centers for Medicare and Medicaid Services (CMS), is taking a toughened stance against instances of “social media abuse” in nursing homes. The CMS issued a nationwide memo to state health departments calling upon nursing homes and the state departments that oversee their operations to begin creating and following policies limiting the ability of nursing home workers to abuse residents through social media. The new directives come after numerous cases across the country – including one alleged, recently-reported instance in Vista – of nursing home workers taking advantage of residents under their care using social media platforms like Facebook and Twitter. Numerous incidents paint a picture of the “typical” instance of nursing home abuse: An elderly resident residing in a nursing home is vulnerable because he or she is suffering from some physical and/or (oftentimes) mental condition. Nursing home workers take photographs or videos of these residents in various stages of undress or in other embarrassing circumstances and then upload these photos and videos to social media platforms. This (of course) is designed to expose the nursing home resident to embarrassment and humiliation (although, because of the mental conditions many of these residents have, the residents themselves are often unaware of what the nursing home worker is doing). Family and friends of the mistreated resident are oftentimes made aware of the humiliating photo or video when they come upon it online by chance. While this form of “abuse” may not leave any physical marks on the resident, the mental anguish, humiliation, and embarrassment caused to the resident and his or her family are nonetheless very real. Unfortunately, it can be extremely difficult to prove the extent of these mental and emotional injuries in court. 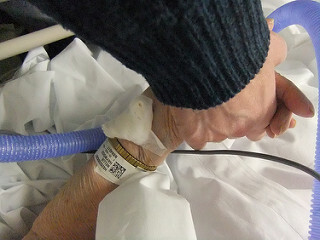 While state agencies can revoke the licenses of workers who engage in this practice and can close down nursing home facilities that routinely violate residents’ rights in this manner, it is more rare to find examples where nursing home facilities or individual workers are held civilly responsible for the mental pain and anguish this form of abuse causes. I Just Found an Embarrassing Photo of My Loved One Online – What Should I Do? If a loved one is in a nursing home and you come across an embarrassing photo or video of your loved one online, make note of who posted the photo or video and as many details about this person and their post as you can. If possible, print out a copy of the photo that shows who made the post and when the post was uploaded. Take this information to the police as well as to the California Department of Public Health. You should also speak with a nursing home abuse injury lawyer about what legal rights you and your loved one may have.